Nearly 170,000 people have fled their homes in N. Cameroon, while the area has received at least 73,000 Nigerian refugees. “Yesterday I had just one cup of millet [grain] left. There are 12 people in our house. We went to bed last night not knowing what we’ll eat today. I got down on my knees and prayed to God to help me. I went to sleep thinking that this very morning I’d have to start knocking on doors for help. But in the morning there was a knock on my door instead. It was the pastor, who told me you had come here with some food and that I had to come to church to receive it. This was the gratitude Mamadou, 46, expressed to Amora*, a worker with the global charity Open Doors, during a recent relief aid distribution visit to internally displaced people (IDPs) in northern Cameroon. Before the Boko Haram insurgency spread into the region, Mamadou, his wife and their seven children lived happily in Achigachia, a town on the border with Nigeria. The family owned a comfortable three-roomed house and Mamadou was able to buy a motorcycle. But his bike attracted the attention of Boko Haram, and one day when he got home, three of the group’s members confronted him and demanded that he hand it over. When he refused, they made it clear they were serious. “Give us the keys, or we will kill you,” they said. Mamadou fled over the fence as they fired shots at him. He escaped, but fled into the hills by himself, where he was forced to remain for a few weeks. Meanwhile, the militants continued to harass his family. “They returned three more times to look for me and to loot my house. They told my wife if I did not come back, they would take her and the children away,” he recalled. Mamadou and his family fled, joining thousands of other IDPs in the towns of northern Cameroon, where they felt they were less likely to suffer attacks and be forced to flee again. Although a fellow Christian gave him a house to stay in, life has not been easy. In 2014, he and his wife lost one of their daughters, Batou, after she became ill due to the stress of their displacement. She was only 12; they had no money to get her proper medical care. They also heard that the insurgents razed their house in Achigachia. “They burnt down everything. My children’s birth certificates, the house. All went up in flames,” Mamadou said. The Far North of Cameroon not only borders Nigeria, where Boko Haram originated; it also contains the Mayo-Tsanaga Province, where the Association of Evangelical Churches in Cameroon (UEEC) had been carrying out pioneering work. Boko Haram started carrying out attacks in Cameroon’s Far North in 2013, including kidnapping a French family of seven, the Moulin-Fourniers, as they returned from a holiday in Waza National Park. The violence worsened after President Paul Biya vowed in May 2014 to “declare war” on the group. In response, the jihadists launched an offensive against army positions and several other locations, causing great damage to local populations, especially the churches. In 2015, the group embarked on suicide attacks – half of which were performed by children – that claimed the lives of many civilians and injured scores more. 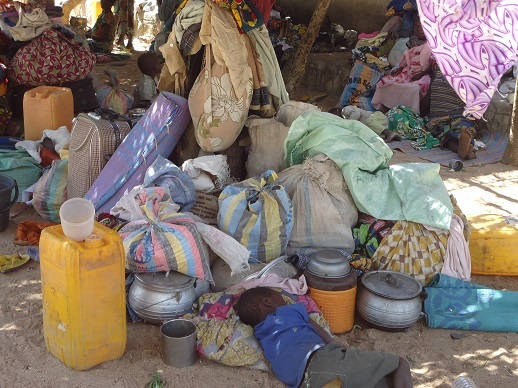 According to the UNHCR, the Boko Haram insurgency has caused nearly 170,000 people in the Far North Region to flee their homes, while the area has received at least 73,000 Nigerian refugees escaping the jihadists’ attacks at home. A great number of the displaced are Christians. The insurgency has taken a heavy toll on local churches. In November 2013, a French Catholic priest, Georges Vandenbeusch, was kidnapped from the town of Nguetchewe and held hostage for seven weeks. Sacred objects, plus equipment belonging to the mission station, were desecrated and vandalised. In March 2014, four nuns were abducted from the Catholic parish of Tchere, in the Diamare region. Pastor Jean Marcel Kesvere of the Lutheran Brethren Church of Cameroon. According to data compiled by World Watch Monitor, 68 Christians, including a pastor, have been killed since 2013. 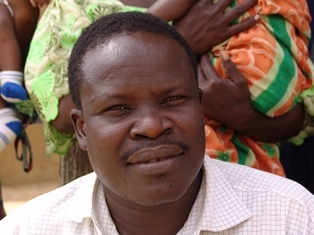 Pastor Jean Marcel Kesvere of the Lutheran Brethren Church of Cameroon was kidnapped on 25 July 2013. His family found out later he’d been killed. In total, some 40 churches have been sacked, burnt down and left unusable, while two health centres and a school have closed. Nearly half of the churches affected are in the Mayo-Tsanaga Province (see below). The food distributions by various charities have not been enough to reach every displaced family. Some of the IDPs in the subdivision have rented homes in their host communities, or built huts. Some are involved in farming (for themselves and for others) and others do basic trading. But, for many, making a living is very hard and they are facing desperate circumstances. Mamadou says he is deeply appreciate of the aid and its timing.